Can Cats Make Us Happy? 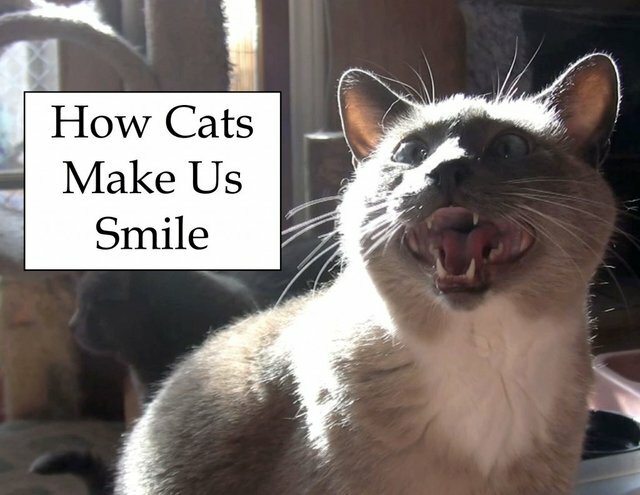 How Do Cats Make Us Happy? The Furball Cats think so! Let us count the ways! Cats are so funny, cute, entertaining, interesting, crazy, lazy just to name a few ways. But they also can reduce our stress with the purrs, sense our emotions with comfort and petting a cat can even lower your blood pressure. They are fairly low maintenance, though they can be demanding. Cats are independent creatures. Many people consider their cats a part of their family. No matter what age you are cats encourage playfulness and provide unconditional love and affection. See this cute music video with the Furball Cats and it is guaranteed to make you "Smile".